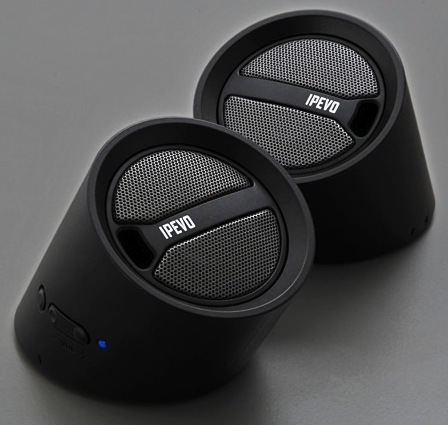 IPEVO, Inc. has released Tubular Wireless Speakers for Apple's iPad as well as the latest generation of the iPhone. Tubular is a portable pair of three-watt speakers that provides iPad and iPhone users with improved two-way stereo sound, as compared to each device's built-in mono speaker. Tubular utilizes Bluetooth technology, such that the speakers can communicate wirelessly with any Bluetooth audio device at distances of up to 32 feet (10 meters). 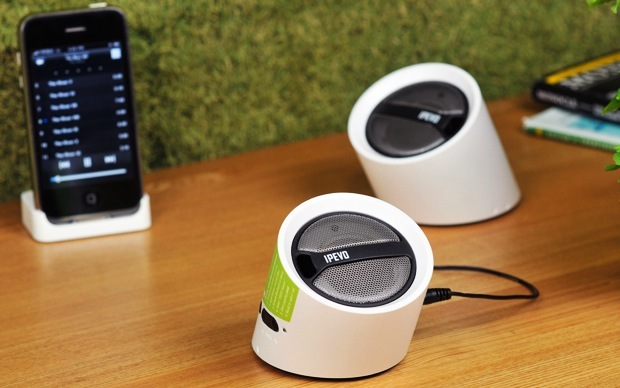 The wireless capability offered by Bluetooth presents an alternative to conventional dock-style speaker systems, in which devices must be physically connected (“docked”) to the speaker unit to function. This limitation may be undesirable with respect to existing behaviors of iPad and iPhone users, who often need or prefer to hold the unit while they listen. When users choose Tubular Wireless Speakers to improve the audio experience of these advanced devices, they are afforded a degree of flexibility they would not enjoy with dock-style systems. A distinctive interlocking design gives Tubular its name. Left and right speakers lock together in a tube shape, and a simple twist separates them. Speakers can then be locked back together to form a lightweight and compact single unit for storage or travel. The weight of the speaker tube is 9.5 ounces (270 grams), and the unit features dimensions of 2.5 x 5.5 x 2.9 inches (75 x 140 x 75 mms). Tubular offers up to 8 hours of playback time courtesy of a rechargeable lithium ion battery, and up to 100 hours of standby time per single charge. Tubular can be plugged into any standard USB port, and a full charge is accomplished in approximately 2 hours. 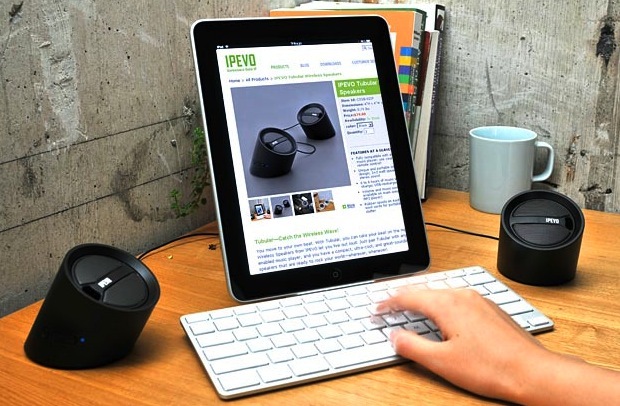 IPEVO's Tubular Wireless Speakers for the iPad and iPhone, available in black or white, are available exclusively through the company's online store for $79.